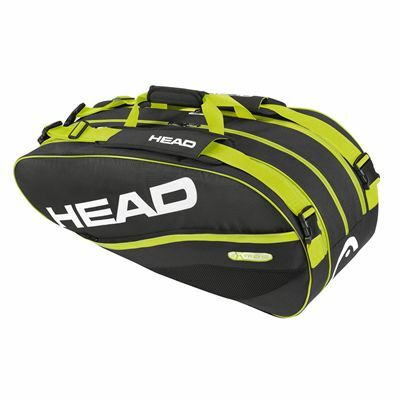 The Head Extreme Combi racket bag can hold 6-8 rackets making it ideal for regular club players. It incorporates the CTT+ technology that provides protection for the rackets against extreme temperatures. The bag is made from 95% polyester for exceptional durability and features 2 large compartments as well as a zippered mesh pocket that allows for carrying accessories. Additionally, its two adjustable shoulder straps and padded carry handle provide comfortable and easy transportation. for submitting product review about Head Extreme Combi Racket Bag.